Associated Vacuum Services has been in the business of reconditionng quality used equipment and servicing our customers with "Sales and Service" for their vacuum requirements since 1984. We offer new products, rebuilt equipment, and custom vacuum systems; from cutomized vacuum shelf dryers to vacuum ovens along with vacuum pumps and accessory items such as fluids, gauges, repair kits etc. 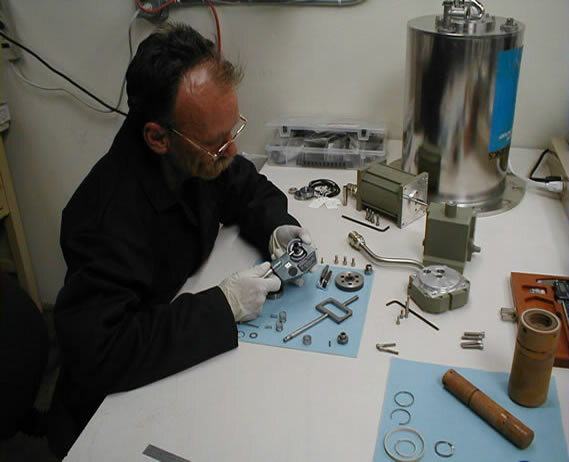 Associated vacuum stocks various parts and components that are used in a variety of vacuum systems and applications. We also stock items that may be already be termed obsolete by the original manufactures. We stock parts such as gate valves, conflat flanges, traps, electric motors, shaft seals, springs, pistons, cams, slide pins, vanes, rotors, shafts,impellers, pump blocks, pump castings,valves etc. Please call for availability.